Entrance to the facility - and my car! Judging from the abundance of 440 volt hookups in the building, this likely was some sort of machine shop. 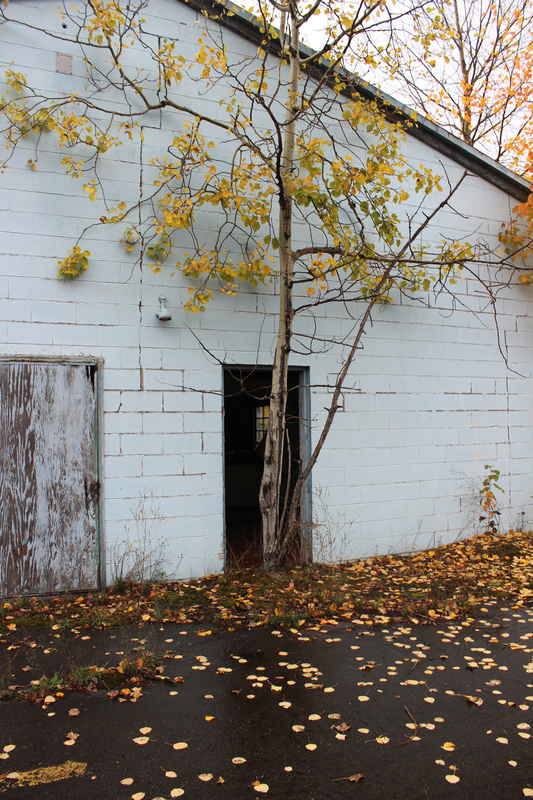 Back door to the machine shop. Rusting silo between concrete silos for holding iron ore. 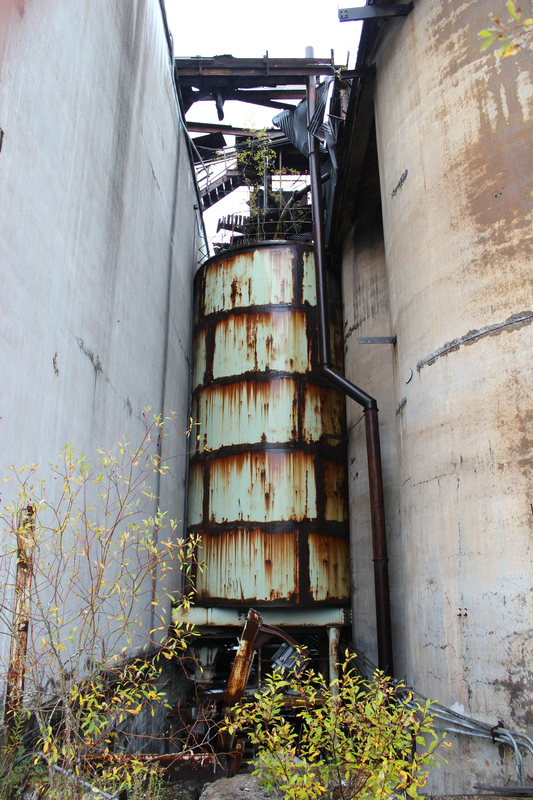 It looked like there was more machinery on top of the silos that had rusted away and collapsed. Outside view of another building showing the decay of the area. Even older looking stairs - the mine has history back to the 1800s, but this is probably not that old. The building on top of it appears to have burned, leaving behind electric wires and boxes. ...With no bucket. Likely a Massey Ferguson 450. Outdoor view of the first building, the roof on this side is nearly rotted through. Most of the buildings were built with cinderblock walls, metal trusses, and wooden roofing. Inside another building, some sort of workshop. The guts of the transformer were missing, probably stolen by copper thieves. One of the few two-story buildings, with major fire damage inside. Some sort of office area, completely rotted out. The office/bathroom is inside this building, and the first building in the album is visible through the trees in the background. Benson Mines is a long-abandoned iron mine near Watertown, NY. The mine was shut down in 1978 and the buildings and have been left to nature ever since. It's a great visualization of nature slowly reclaiming it's land. I stopped by with a friend on a rainy day on my way back to Rochester from the Adirondacks. The rain was moderate at times and the buildings were alive with the sound of dripping water.